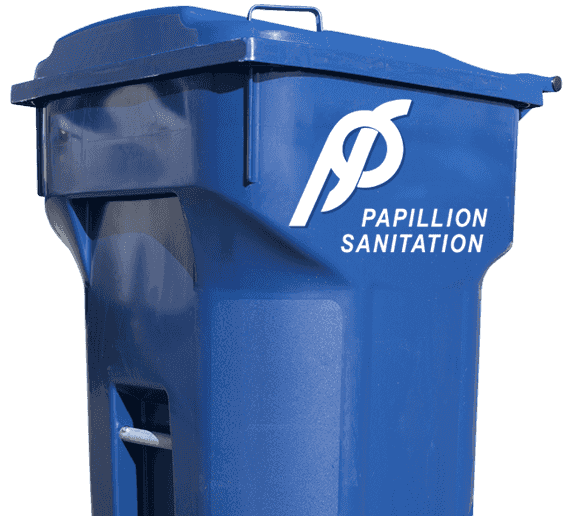 Papillion Sanitation provides weekly trash service for Omaha (outside of the city limits) and surrounding areas. We are currently the contracted provider for the City of Bellevue, the City of Louisville, the City of Syracuse, Ralston and Murdock. The cost for services within these city limits is either included in your monthly water bill or billed directly by the City. Services are dependent upon your location. Please contact the City for a description of these services. For residents outside of the contracted cities, our service area covers eastern Nebraska and western Iowa. Prices and services are dependent upon your service area. (402) 346-7800 to learn which disposal services are available and to request a price quote. Check Your Area for Service! 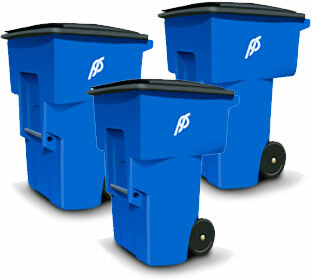 Trash service includes one 96 gallon trash cart picked up weekly. We will pick up most household trash that will fit inside this container. Our “Refer a Friend” program provides our residential customers with one free month of service when they refer a neighbor or friend who becomes one of our customers. There is no limit! Refer 12 friends or neighbors and receive one full year of service free. City of Bellevue Residents: Please go to yourcartplaysapart.com for details specific to the City of Bellevue. We ask that all items be at the curb by 6:00 a.m. on your pick up day and placed away from mailboxes, cars, fences, light poles, etc. Please try to place all garbage into the provided trash cart. For your convenience, extra 96 gallon carts are available for an additional fee. Branches and brush are considered trash. If you cannot fit them into your cart, they must be cut into 4 foot lengths, tied in bundles no more than 3 feet in circumference and placed beside the trash cart. For an additional fee, we will pick up bulky items such as furniture, carpet, etc. Please call our office to schedule a pick up.